Chandler last weekend at the Comic Con FanX in Chicago. . Wallpaper and background images in the Chandler Riggs club tagged: photo chandler riggs 2014 instagram. 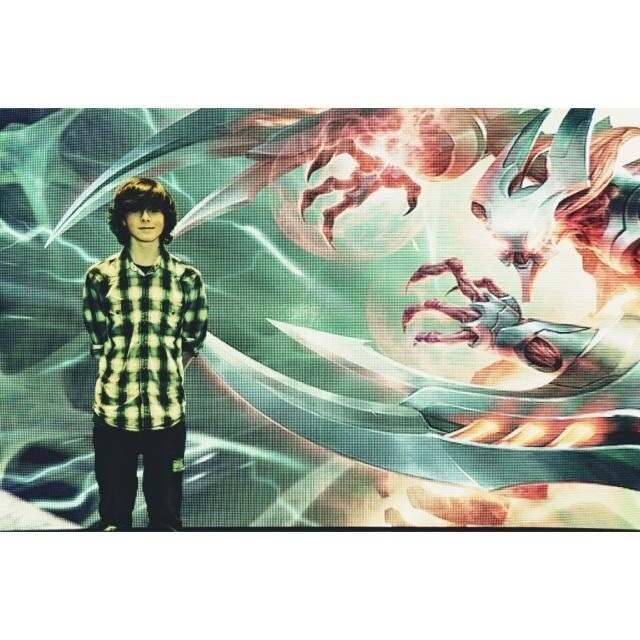 This Chandler Riggs photo contains zeichen, plakat, text, tafel, schilder, and poster.